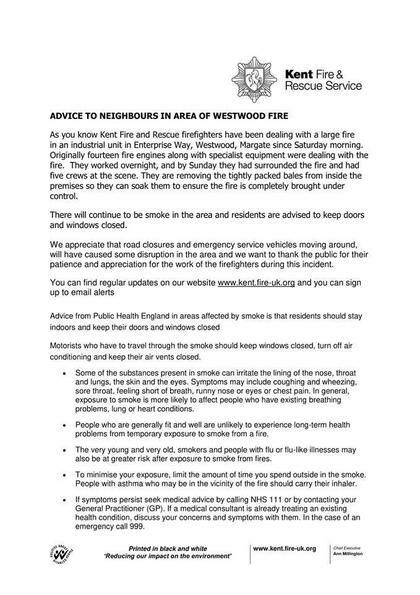 Please see the COMMUNITY announcement from the Fire Service regarding the recent fire in Westwood Cross. Following this guidance, our children will not be going out at break and lunchtimes. We will, of course, keep all parents updated if we are advised of any changes.